Chevron has lost this fight. It has lost the legal fight in Ecuador (the jurisdiction it fought to be heard in, but which it now denigrates), where multiple courts have re-affirmed the judgement against Chevron and the multi-billion-dollar compensation penalty it must now pay. It has also lost the fight in the public domain, where its legal strategy seems to be a vindictive effort, by all means, to attack its opponents rather than be held accountable for its liabilities. This charade recently continued with a legal attack, via the New York Bar Grievance Committee, which then applied to court, succeeding in suspending the law licence for the Ecuadorian community’s US lawyer, Steven Donziger – a process which took place like a summary execution, with no hearing, and no opportunity for the provision of evidence. The bar designated Donziger an “immediate threat to the public order” – this about a man who graduated in the same law school class as President Barack Obama, and in his 25 years of law practice, has never received a single complaint. Taylor goes on to describe some of the many reasons why Chevron’s claims against Donziger and the Ecuadorians are corrupt unreliable, as myself and many others have done. But the blog is more important for its attention to the broader context–which Taylor speaks to on the basis of two decades of experience investigating the extractives sectors–than on the specific details of the retaliation, egregious though they may be. It is increasingly clear to me how the core of any realistic solution to the problem of “the new corporate playbook” of retaliation against human rights defenders must keep a focus on the forest, even when discussing individual trees. This goes against the instincts of many advocates, who know that drilling-down on the details of individual abuses is typically the best strategy both for garnering public attention and concretizing the human rights issues at stake. But complex corporate retaliation cases (instances of SLAPPs, Strategic Lawsuits Against Public Participation) are different, and the modality of our response must be different too, for structural reasons. While the ultimate purpose of a SLAPP is intimidation, it succeeds as much by way of distraction as by attack. A SLAPP is a play to affect the larger public discourse, not just (or not at all) to achieve a judicial outcome. Merely dragging the attention and miscellaneous anxieties of the public (and the targeted defendants) into the muck of the SLAPPer’s exaggerated, manufactured, decontextualized claims counts as a victory, even if the audience comes away disgusted with the SLAPP. The victory is distraction and drainage of time and resources, but also more than that. Every advocate works to properly frame and promote her advocacy. Every advocate desperately competes for attention in a hyper-competitive environment of contemporary injustices and responsive causes, ideas, approaches. Every advocate I know is flooded with obligations, commitments, ambitions–there is too much work out there, in our moment, needing to be done. A sophisticated corporate SLAPP can poison advocacy on all these dimensions with little regard to the merits. The corporation swaggeringly deposits itself not just on the advocate’s daily to-do list but also into the advocate’s public-facing identity and messaging. While advocates can transform the SLAPP’s presence in their frame to their advantage–as illustrating the vitality of their challenge to entrenched interests, for example–it cannot be removed from the frame. And while sometimes a SLAPP will generate its own attention, more often it is stealing from what allotment of public concern an advocate can realistically expect in total. Thus even where the public focuses on the bogus SLAPP and comes away disgusted, the victory can be hollow for the advocate’s underlying work. Also, responding to bogus claims requires time and resources (lawyers, experts, document processing and other legal burdens) that many advocates just don’t have, which means they can drown in the muck of even the most meritless of claims. The truth does not just prevail on its own dime, at least not in the US legal system. Additionally, even the most bogus SLAPPs can put enormous emotional weight on targeted defendants, as I hope to explore in future writing. Advocates know all these uncomfortable realities. Which means they can be intimidated (“chilled,” to put it more gently) by the prospect of meritless claims. They will steer clear, when they can, of corporations and controversies that threaten to muck up the delicate art of framing and advocating that they are engaged in. Because a SLAPP is fundamentally a bid for attention and distraction, we must be careful in how we respond to new (and old) corporate attacks on advocates. Entering a corporate SLAPP frame even to dismantle it may be conceding too much. Sometimes it will be important to focus, as Taylor largely does, on contextual factors such as the opportunism of the attack (the extent to which it conveniently serves the SLAPPer’s larger strategic purposes), the reliability of the SLAPPer as a “prosecutor” of its claims, and similar. An important new Anti-SLAPP movement is emerging. @SLAPPtaskforce #protecttheprotest. It is time for powerful advocacy, but also a time for analysis and conversation about what works and why. Anti-SLAPP efforts are not new. They have, however, been largely ineffective. We need to be looking deeper to find out why and guide our efforts going forward. This is the fourth Ecuadorian court to uphold the environmental liability judgment against Chevron, the third layer of appeal. All Ecuadorian affirmances have been unanimous. 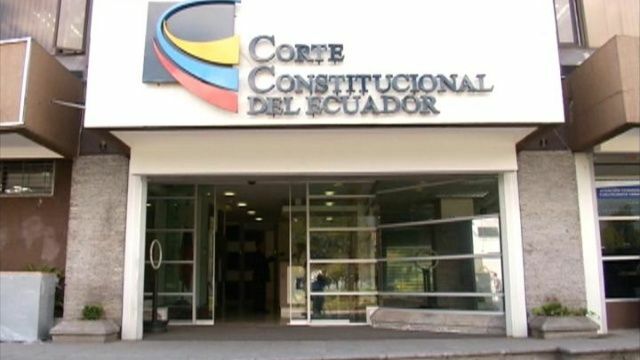 The jurisdiction of the Constitutional Court (CC) allowed Chevron to challenge any aspect of the proceedings in Ecuador for lack of due process, use of improperly obtained evidence, etc. None of Chevron’s challenges were sustained. The decision elaborates a strong human rights-perspective on the underlying questions about the fairness of the judgment and its magnitude. I hope to describe this in more depth shortly. The decision was emitted well into the term of office of President Lenin Moreno, who is aggressively seeking to curry favor with the United States, so any sort of claim that the CC decision was politically influenced to Chevron’s detriment is a non-starter. The decision is now the most current analysis of the environmental judgment and the controversies surrounding it, made by the court with the broadest jurisdiction to consider it and the challenges to it. Again, the judgment was sustained in full and unanimously. Here is the BHRRC page on the development. I’ll add more links and analysis as it comes up. In a Canadian court, Chevron is trying to block submission of a legal brief over how the company’s attempt to evade paying a $9.5 billion environmental judgment in Ecuador violates both Canadian and international law regarding the rights of indigenous peoples. In a submission before the Ontario Court of Appeal in Toronto, Ecuadorian rainforest communities cite the United Nations Declaration on the Rights of Indigenous Peoples in support of their lawsuit to collect the Chevron debt in Canada. The judgment against Chevron was affirmed unanimously in 2013 by Ecuador’s highest court. A hearing over Chevron’s attempt to block the new argument is scheduled for January 16 before the Ontario Court of Appeal in Toronto. If the submission is allowed, the Ecuadorians plan to use the U.N. Declaration during a critically important appellate hearing scheduled for April that will help determine whether they can seize the assets of a Chevron subsidiary in Canada to force the company to comply with the Ecuador judgment. “Chevron’s attempt to deny the latest legal petition concerning indigenous rights from being heard is gutless and a sign of the company’s increasing desperation,” said Patricio Salazar, the lead Ecuadorian lawyer for the affected communities. “The arguments that Chevron is trying to suppress outline in clear terms the numerous ways in which the company has violated international law by polluting indigenous ancestral lands and then deliberately obstructed legitimate efforts to seek compensation through the courts,” said Salazar. In the legal brief, the Ecuadorian communities cite several provisions of the United Nations Declaration to support their lawsuit to seize Chevron assets in Canada. These include “the right to … prompt decisions through just and fair procedures for the resolution of conflicts” and “fair and equitable compensation” for their territories that have been damaged by oil extraction and other environmental harms. The U.N. General Assembly approved the Declaration On The Rights of Indigenous Peoples in 2007 by the overwhelming vote of 144-4. The document since has been adopted as domestic law by both Canada and Ecuador, but it obviously did not exist for several years after the litigation against Chevron began in 1993. Chevron, which sold its assets in Ecuador during the trial, recently had its General Counsel threaten the Ecuadorian communities with a “lifetime of litigation” if they persist in pursing their claims. The case has lasted a whopping 24 years largely because of Chevron’s forum shopping and use of at least 60 law firms and 2,000 legal personnel to file thousands of procedural motions to delay the process at almost every important juncture. Chevron’s attempt to deny the Ecuadorians the right to file arguments based on indigenous rights – as distinct from simply filing its own legal brief to oppose it – is unusually aggressive, although not surprising given the company’s long record of trying to undermine the claims of the communities. Chevron was found guilty by three layers of courts of Ecuador of having deliberately dumped billions of gallons of toxic oil waste as a cost-saving measure, causing a spike in cancer rates and creating a public health catastrophe. Conditions are so bad that locals call the area the “Amazon Chernobyl”. Great news today, except that the progress it represents is only the reversal of a terrible and unjust turn of events that never should have happened in the first place. Canadian courts have been hearing an action to recognize/enforce the historic Ecuadorian environmental judgment against Chevron Corp. for over five years now. Last month, a Canadian appellate motions judge somehow decided it was “in the interests of justice” to order the indigenous and subsistence farming communities who I represent, and who have been pursuing justice for a total of over 25 years, to post a bond of $1 million for Chevron’s legal fees, if they wanted to continue their case. Needless to say, the whole plan, devised by Chevron, was to kill off the enforcement action in Canada. Obviously there is no way the communities (or any of the backers who have supported them over the years with much smaller levels of support) could come up with that kind of money. The fact that Chevron came up with the plan was not surprising; the fact that an appellate judge ran with it, “in the interests of justice,” was shocking. Thankfully there is a “motion to vary” procedure in Canada that allowed the Ecuadorians to take the issue to a separate three-judge panel. Still the odds were against them, because the panel would review the motions judge’s discretionary decision with considerable deference. The panel reversed — and loudly, in a decision that hopefully charts a new course for proceedings in Canada. and the countless fictions embedded in its unapologetic “demonization” campaign against the Ecuadorians, which pretends that the environmental case is a “sham” or a “fraud,” that it’s about “American plaintiffs lawyers” not Ecuadorian victims, that the Ecuadorian court system is “incompetent” and “corrupt” (even though Chevron itself had the case sent there), and so on. The panel chose the side of reality. In its decision, it repeatedly instructs on the importance of “taking a step back” from the narrow legalism that Chevron used to win before the motions judge and instead “conduct a holistic analysis” that “considers all the circumstances of the case.” When all those circumstances are allowed to enter the courtroom, the picture changes dramatically. This case is not about “plaintiffs lawyers.” Little research is required to see that this is an historic case, long supported and driven by social movements in Ecuador and indigenous and non-indigenous allies all over the world. “This is public interest litigation,” the panel acknowledged. So simple, and yet somehow Canadian courts had forgotten this. The Ecuadorian environmental judgment is at the center of this case. It is, after all, the judgment being enforced. Yet the motions judge never referenced the substance of the Ecuadorian judgment, instead relying repeatedly on the collateral attack judgment that Chevron obtained from its home country courts after it lost the Ecuadorian case. The judge’s reliance on a U.S. judgment, no matter how suspect (among other troubling features, the U.S. judgment relied on illegally paid-for “fact” testimony that has now been debunked), instead of even considering the Ecuadorian judgment at the heart of the proceeding points to the deeply-rooted issues of implicit bias that Canadian courts have long struggled with in dealing with aboriginal claims and developing country courts. The panel, by contrast, properly ignored the collateral attack judgment and instead noted that the Ecuadorian judgment’s findings have not, in fact, been “undermined” at all in Canadian courts. “Accept[ing] the finding that underlie the Ecuadorian judgment,” the panel noted, it would be especially perverse to order the Ecuadorians to pay Chevron’s legal fees because the Ecuadorians are impoverished in part due to the very acts of Chevron/Texaco itself. The panel charts a new course. Now, the Ontario Court of Appeal did just that three years ago, when it reversed the last round of erroneous decisions by a Canadian trial court judge unwilling to call Chevron to account for its countless abuses. It was affirmed by the Canadian Supreme Court — but then, it was back down to another hesitant trial judge, starting the whole process over again, losing years in the process. As noted, we are over five years into the enforcement case in Canada and we still haven’t finished dealing with preliminary challenges in what is supposed to be a “streamlined” enforcement/recognition process.